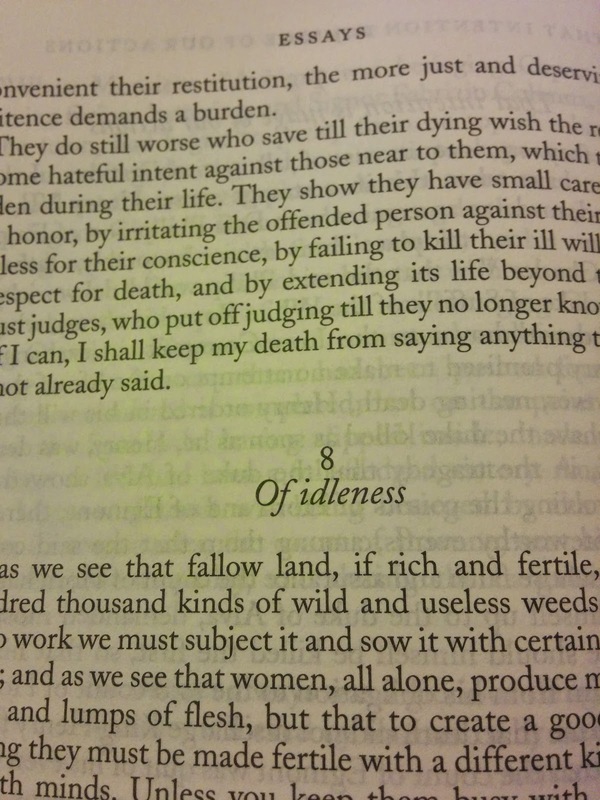 In anticipation of my two weeks of family time, rest and relaxation, I decided over the weekend to crack open my copy of The Complete Works and see what Montaigne has to say about idleness. I can relate to this. I have a lot of trouble relaxing (if you can't already tell) and have been known to squander my free time mulling over every possible thing besides, you know, something fun and enjoyable. I have become a lot better about this over time, and I'm hoping to put the calming strategies I've learned to good use during my vacation. Are you good at being idle? Do you think it has its merits? Oh, and Merry Christmas Eve, to those who celebrate! Montaigne is crazy relaxing. I'm not sure why. I've read a third of The Complete Works. Must finish them! He really is! Even a third of the Works is a great accomplishment—they're so long. Merry Christmas to all, and to all, a good night. Bout of Books 12 Sign-up Post! The 2015 TBR Pile Challenge!